According to spaceweather.com, in less than 24 hours this sunspot region has stretched by more than 40,000 km. 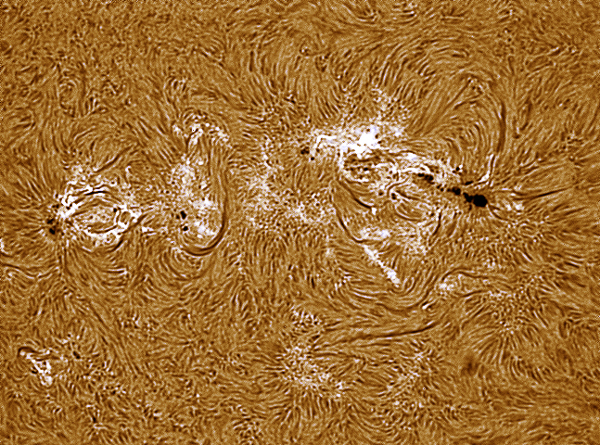 I cannot image sunspots these days but i can use h-alpha telescope to see the region.. here it is in color.. look how strong the bright plage features are, a sure sign of strong magnetic activity. Following is the picture taken from Damien Peach yesterday. This image was taken with the visible light and 356mm telescope. Same area on the sun, but in two different lights.